Mommy Delicious: The Green Team, Baby! PLUS, Win $1000 from eBay! The Green Team, Baby! PLUS, Win $1000 from eBay! Jessica Alba Launches "The Honest Company"
Have You Found Your "Happy"? You Can Achieve Your Goals. All Of Them. A Golden New Years Eve! I'm pretty excited to share something with you that I think is, like, so totally awesome. It's my latest obsession and it's name is eBay Green, my new fave spot for eco-friendly education, inspiration, and, of course, shopping (one of my fave pastimes). 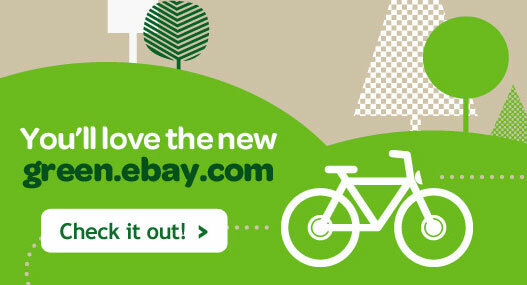 In 2012, it's all about reducing, reusing, and recycling, and this new eBay site is going to make the 3 R's as easy as possible for you. While helping you earn money, of course. How so? Well, because the site is dedicated to being entirely green. While helping you earning money, of course. PLUS: If you have a question, you can post it in the "Ask the Green Team Community," and other eBay Green community members can help answer. 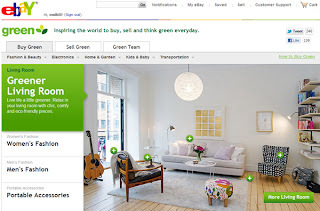 PLUS: On the eBay Green site, community members can create Eco Shopping Lists on pretty much anything. Household products, baby products, nursery items... take your pick! Can't think of anything "green" to list? Simple solution! With the exception of old appliances, anything that's already in existence and can be re-used can be considered "green." Think "refurbished, pre-owned (or "pre-loved"), and re-purposed." And there you have it -- GREEN! As a super dope eBay Green Team member puts it, "The greenest product is one that already exists." WORD! 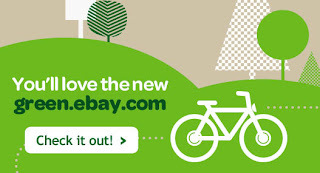 Visit the eBay Green website. Sign with your eBay User ID and password. On the homepage (green.ebay.com) identify the “Greener Alternative” and “Eco Shopping Lists” sections. By adding an item URL from the eBay marketplace and explaining why it’s a greener alternative or creating a list of eco items, you are entered to win. Once the listing appears on the site, you are entered to win a $1,000 eBay gift card!